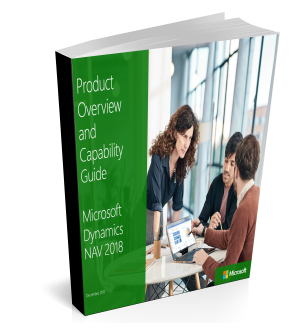 MICROSOFT DYNAMICS NAV. EVERYTHING you need to achieve more. Get up and running quickly with complete control over your growing business. Efficiently manage your cash, assets, and banking. Accurately track and manage your production, inventory, orders, and vendors. Rapidly create estimates, track projects, and manage capacity. Compete globally with multiple currencies and languages. Fill in the form and get your free solutions brief on Microsoft Dynamics NAV today!